Rename the column name in R using Dplyr. 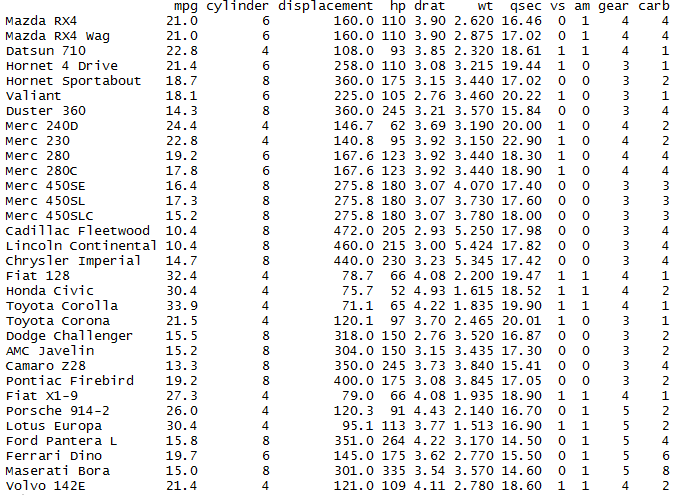 Dplyr package in R is provided with rename() function which re names the column name or column variable. We will be using mtcars data to depict the re name of column variable. Rename the column name using rename function in dplyr.